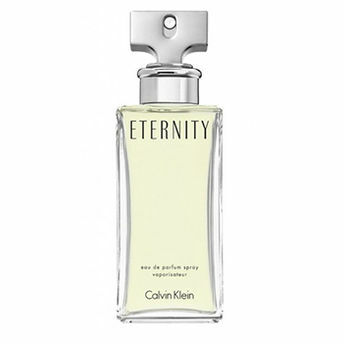 Buy Calvin Klein Eternity for Women EDP in India on Nykaa. Combining iconic hues of the 90's with modern redolence, Calvin Klein Eternity for Women Eau De Parfum emanates a rich feminine fragrance that remains every woman's favourite. With fresh citrus and green top notes, violet lily-of-the-valley and peppery accords middle notes and powdery heliotrope, pink sandalwood and transparent musky base notes, it snares you in layers of mystery. Explore the entire range of Perfumes (EDT & EDP) available on Nykaa. Shop more Calvin Klein products here.You can browse through the complete world of Calvin Klein Perfumes (EDT & EDP) .